At MyFlowerTree, we understand the importance that the festival of Raksha Bandhan holds in the lives of every Brother and Sister. 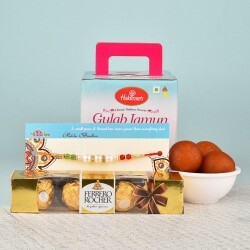 If your sibling lives in Ahmedabad then you can surprise them with our special Rakhis and Gift Hampers. With Flowers, Cakes, chocolates and more, we are ready to surprise them. Near or far, a Brother and a Sister always stays connected by the strings of their hearts. To commemorate this beautiful bond, we celebrate the festival of Raksha Bandhan. Raksha Bandhan is the best time to show your Brothers and Sisters how much they mean in your life. On the Raksha Bandhan, let your heart out and tell them how much they are adored by you with MyFlowerTree's special Raksha Bandhan collection. If you or your sibling lives in Ahmedabad, you can avail the services of MyFlowerTree to make this Raksha Bandhan special for you both. We have everything that you need to celebrate this festival. 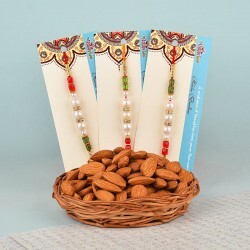 With just a few clicks, you can make this Raksha Bandhan a memorable day. We are rendering our services throughout the city by sending rakhi online to Ahmedabad. A sister ties a Rakhi on the hands of her Brother and the Brother promises to protect her for the rest of their lives. We are sure that your Sister is pretty special, so, we wanted to make gifts for her which are special like her. Females love Flowers, so we made sure that our gift hampers include a lot of them. 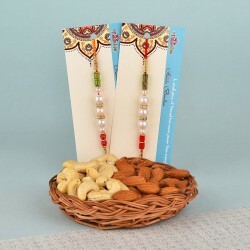 These Gift Hampers have some of the most exquisite jewelleries which are made with beautiful stones, pearls, silver and other beads. No gift hamper can be complete without Fragrances for the beautiful Sister. 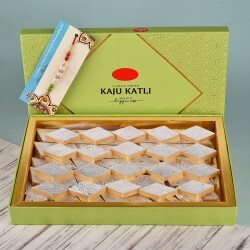 We also have some delicious Chocolates for her. You can even get her some personalised Cakes. 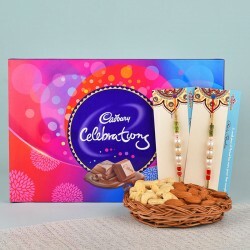 Rakhi Personalised Gifts for Sisters are exclusive. You can send her a Cake with a special message or photo printed on them. We have something special for Brothers too. Mugs and Cushions are always appreciated by Brothers. They are the best collectible items. 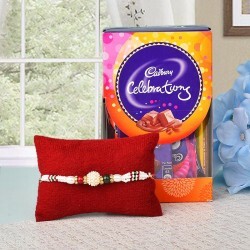 Our collection includes the best Raksha Bandhan Mugs and Cushion. With adorable images and quotes printed on them, they will make your Brother really happy. Although these Mugs and Cushions are amazing as they are, you can even get them personalised. Just get your favourite message or photo and get that printed on them. 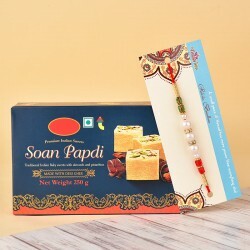 These Rakhi Personalised Gifts for Brothers are just the most adorable ones. 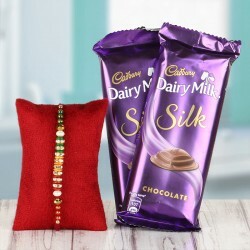 Send Rakhi anywhere in Ahmedabad with online rakhi delivery to Ahmedabad on the same day itself or on the next day. Make this Raksha Bandhan special with our fragrant Flowers. With Flowers like Roses, Carnations, Gerberas, Lilies, Orchids and Birds of Paradise, available in colours like Red, Pink, Purple, Yellow, Orange, Blue and White in our store, your celebrations will be grand.We also have some delectable Cakes like Black Forest, Chocolate, Pineapple, Vanilla, Strawberry, Chocolate Truffle, Butterscotch, Mango and various other exotic Flavours like Kiwi, Mixed Fruits, Coffee, Caramel, KitKat, Gems, Oreo, Cheesecake, Ferrero Rocher, Marble and much more to make this Raksha Bandhan memorable. These Cakes are available in shapes like Round, Rectangle, Heart shape and Square. Not just Ahmedabad, you can send your Gifts anywhere. 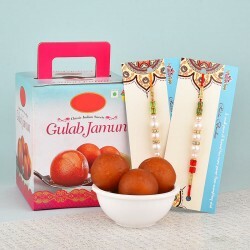 Send Rakhi Gifts to Noida, Gurgaon, Delhi, Mumbai, Chennai and anywhere that you want with MyFlowerTree.